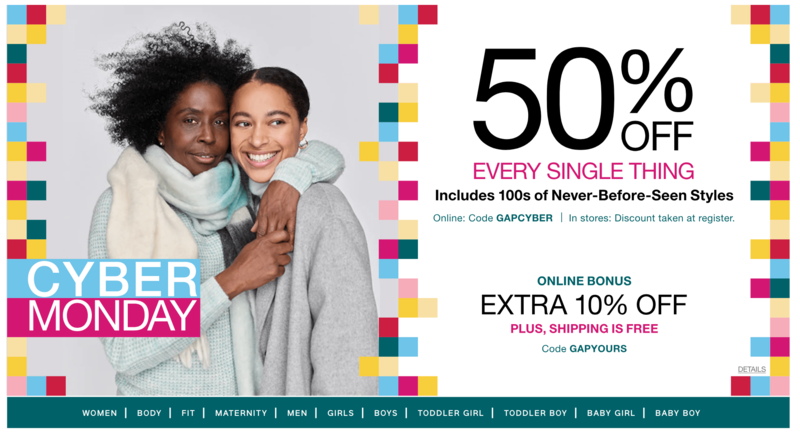 Gap Canada started their Cyber Monday Sale TODAY! Shop online and save 50% off Everything by using the code GAPCYBER at checkout. In addition, save an EXTRA 10% off everything and receive FREE Shipping on all orders by using the code GAPYOURS at checkout. Deals are valid until Monday, November 26, 2018, at 11:59 pm PT. 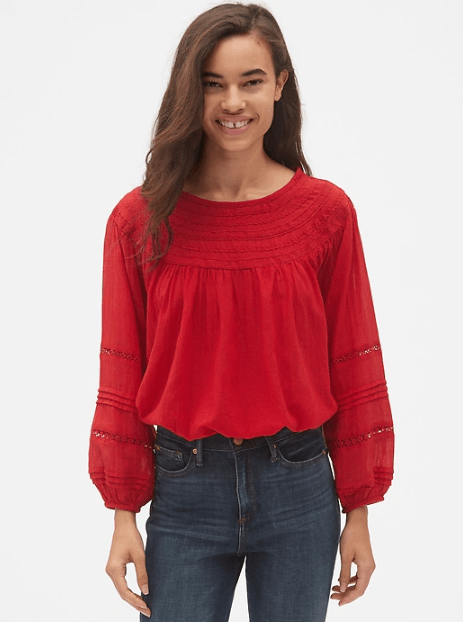 This Women’s Smocked Lace-Trim Peasant Blouse is on sale for only $40.47 (originally $89.95) when you apply the 50% off promo code GAPCYBER and the extra 10% off promo code GAPYOURS at checkout. You save $49.48! Long raglan peasant sleeves, elasticized cuffs. Tiered crochet lace trim detailing at smocked, high neckline. Shirring below smocked neckline adds fullness throughout. Intricate crochet lace insert and tiered trim detailing at sleeves. Subtle swing hem. Gap is offering free shipping on all orders using the code GAPYOURS at checkout for Cyber Monday.